Miami Geo Quiz #16: Where in greater Miami can one find this rare blue alligator? 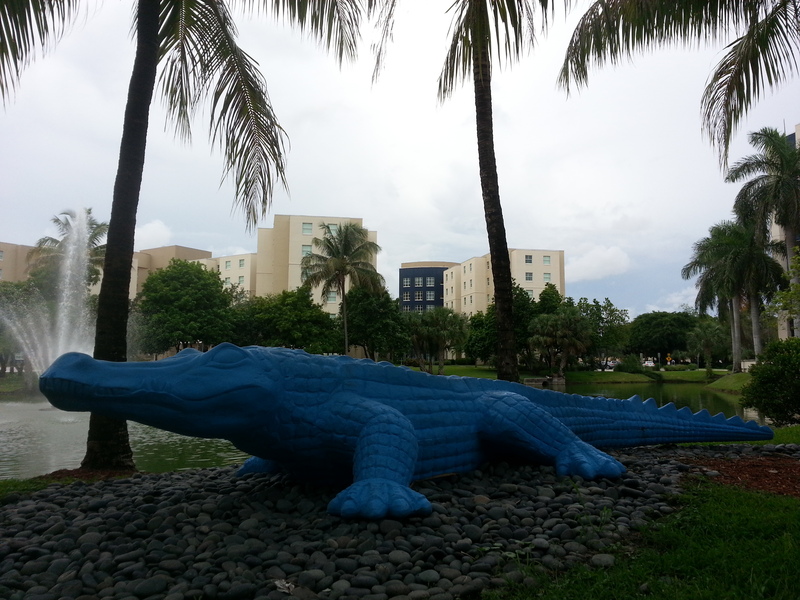 Miami Geo Quiz #16: Rare Blue Gator. Source: Matthew Toro. September 26, 2014. Thanks! I just answered it! The first one is the Miami Marine Stadium. Yeah . . . think so too . . .
A place where you’d expect to see Roary painted blue, not Albert E.
This one was _tough_. Only the fountain spray pattern gave it away.